Royal Flush Mobile Casino has been operating for 25 years; so we are better qualified to deliver the genuine casino experience. Royal Flush Mobile Casino offers authentic tables and equipment operated by Casino trained Croupiers, with gaming experience that will create a point of difference for your next function. Remember this: You don't have to be the biggest or charge the most to be the best.!!!! Being based in Levin New Zealand. We are central to most towns and cities in North Island. 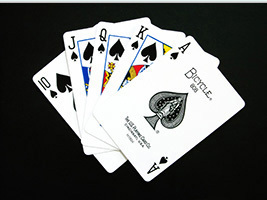 Maybe your Organisation could be next to benefit from a Royal Flush Fundraiser Casino. So pick a venue and we will come to you. We will handle the running of the fun casino so you can sit back relax and have a flutter. We have also conducted 100s of Corporate events, Xmas Parties, Theme Nites, Birthdays, Weddings and Team Building Events. Email or Phone us today and we will normally be able to negoitate the most competitive quote amongst all other Professional Mobile Casinos.